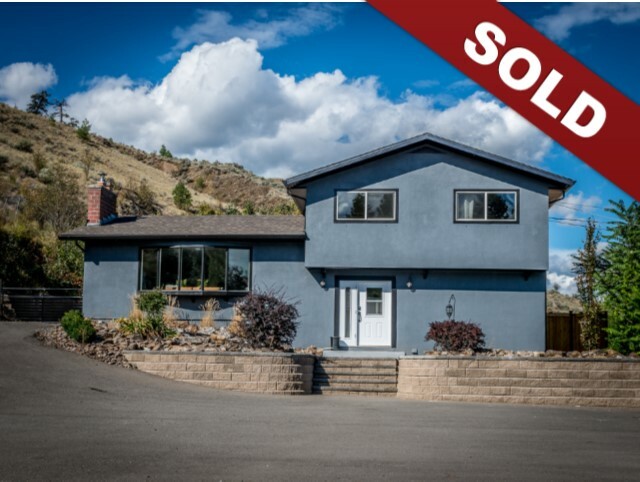 New Listing: 898 Cramond Road, Westsyde, Kamloops, BC $539,900. Huge Reno! This Westsyde home has had extensive renovations done, is nestled at the end of a quiet street on over a 1/2 acre lot with a gorgeous salt water in ground pool and ultimate privacy backing on to parkland. The recent upgrades include: flooring, kitchen, furnace & heat pump, roof 2014, facia & soffits 2015, bathrooms 2018, electrical, light fixtures, windows, deck 2017, driveway & parking area 2013, fence 2017. The in ground pool was totally overhauled by Pleasure Pools. The pool is a salt water pool with bench and stairs. The home itself features a spacious front entry with closet, a large kitchen with stainless appliances, dining room with access to the back yard and bright living room with large bay window. The top level features 3 good sized bedrooms with a fully updated 4 piece bathroom. One of the bedrooms has a French door to patio overlooking the pool. The bottom two levels feature an additional fourth bedroom, den space, storage, laundry and a huge family room. Virtually nothing to do to this home but move right in! The yard space is separated with a grassy area that is fenced for the kids to play, pool area has a large shed that could be easily converted to an outdoor bar space. Easy to show and quick possession possible.